Almost eight years after 21 people died and 650 were injured at the "Love Parade" music festival in Duisburg, the incident is finally being reviewed in a court of criminal law. Victims' families are counting on justice. It will likely be one of the largest criminal cases in Germany since the end of the Second World War. On Friday, the first of 111 scheduled days of court testimony will commence. It will be an enormous undertaking. According to the Duisburg District Court, the main file alone consists of 117 folders containing some 53,000 pages. Ten people are facing charges of negligence resulting in wrongful death and wrongful injury. Due to the large number of joint plaintiffs and their lawyers, numerous defenders, media representatives and interested observers expected to be on hand for the trial, the district court has rented a large hall at Düsseldorf's exhibition grounds. July 24, 2010, was a sunny Saturday. The weather attracted large numbers of mostly young people who simply wanted to have fun and dance to music. The Love Parade electronic music festival, which had originated in Berlin, was now to have a worthy successor in the Ruhr region, as organizers advertised it. But the main entrance to the area where the event was being staged led through a 400 meter-long and 18 meter-wide (1,300 x 60 foot) tunnel. Witnesses say that there was such a large number of people in the tunnel that many were trapped and could no longer breathe. Mass panic ensued and visitors pushed each other in every direction. People were crushed, fell to the ground and trampled to death. Immediately after the accident occurred, the Duisburg public prosecutor's office began reviewing events. Authorities interviewed more than 1,000 witnesses and studied over 900 hours of video material. They analyzed police and security attempts to control and limit the flow of visitors. North Rhine-Westphalia's state interior minister at the time, Ralf Jäger, said that law enforcement officials had made no mistakes in the matter, and stood by his police. Investigators concentrated on planning mistakes made in preparation for the event. Organizer Rainer Schaller and then-Duisburg Mayor Adolf Sauerland, it was said, could not be found culpable. In 2014, some three-and-a-half years later, public prosecutors pressed charges against six employees of the city administrator's office and four employees from the event company Lopavent. The Duisburg District Court reviewed the case's chances of success during so-called "intermediate proceedings," concentrating mainly on a controversial expert opinion report put forth by the British "crowd and panic researcher" Keith Still. The court determined the report lacking in legal substance, adding that much of the evidence it presented was of little use in the case. After almost two years of deliberation, the Duisburg District Court refused to allow the main proceedings to move forward. Public prosecutors and joint plaintiffs immediately lodged a complaint with the Higher Regional Court in Düsseldorf. "For me the denial was as if Christian had died a second time," Gabi Müller told DW. The hairdresser from the city of Hamm lost her only child in the tragedy, her 25-year-old son. She says that at first she felt paralyzed but then she decided to sign an online petition that was attempting to draw attention to the case and help it get to court. Some 10,000 people joined the petition in the first week alone. In the end, more than 360,000 signatures were gathered. "The response was overwhelming and it was comforting to see that so many people still remembered the tragedy," Müller said. She also gains strength from the support of her son's friends. They regularly bring her presents when they return from vacation and also decorate his grave: "He isn't forgotten and he has his place," explained Müller. She says that gives her much more solace than visiting the official memorial erected for victims in Duisburg: "I avoid that place." Many survivors are still struggling with the effects of the catastrophe today and, like Gabi Müller, attend therapy and are unable to work. If they do, it is part-time. They all say they are happy that a turning point has now arrived, one that few expected. In April 2017, the Higher Regional Court of Düsseldorf ordered the Duisburg District Court to move ahead with the trial. Judges in the city determined that there was a "reasonable probability" of a conviction in the case. Over the last several years, Julius Reiter of the law firm baum-reiter & collegen has served as legal counsel for Gabi Müller and 100 other clients. He says he is relieved that his objection to the district court's decision was a success. "I think the facts are pretty clear regarding the question of guilt," he told DW. A non-approvable event was simply held anyway, said Reiter, who stressed: "A list of deficiencies was not taken care of." Among those deficiencies were inadequate fencing, lack of a public announcement system and an insufficient number of security guards. Added to that was the fact that access throughways were blocked off or downsized. Gabi Müller and about 60 other joint plaintiffs are represented by 35 lawyers; the 10 accused from the city of Duisburg and Lopavent by a team of 30. The defendants' attorneys say that acquittals are possible because a number of factors led to the catastrophe. "It will not be possible to assign guilt to specific individuals," said Cologne criminal defender Kerstin Stirner. It remains unclear at this point what role a new, second expert report on the flow of visitors will play once the case gets underway. Stirner points out that the "many mistakes made by police" are not addressed in the report. "For me this is about clarification. Why did kids have to die? Who was at fault?" Those are exactly the reasons Gabi Müller wants to be in the court when the trial begins. "I want to look into the faces of the defendants and see what kind of people they are." Nevertheless, Müller remains realistic about what the case will bring. She thinks it quite possible that no one will be found to have been clearly guilty. Still, she says the case will send a signal that such a catastrophe must never be repeated: "Something good must come from the deaths of our children." Charges have been dropped against seven accused at Germany's mammoth negligence trial. Three 2010 techno rave organizers remain after rejecting fines. 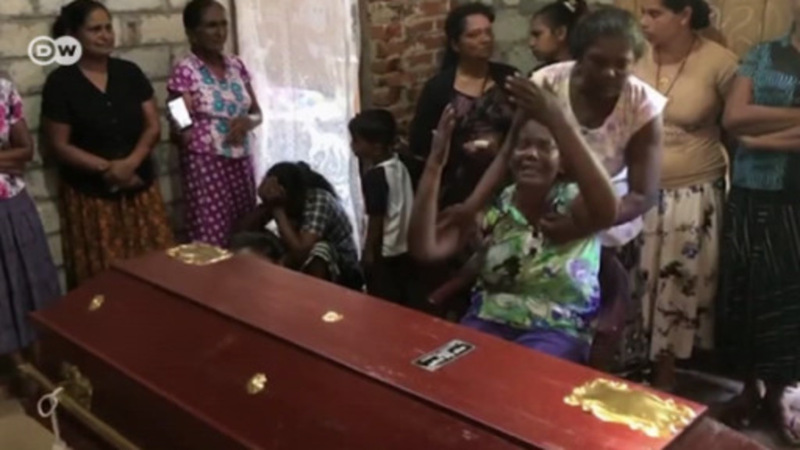 Relatives of the 21 killed still insist on a full probe. German prosecutors have called for an early end to the negligence trial investigating the Love Parade techno music festival stampede that resulted in 21 deaths and hundreds of injuries. The accused would have to agree. Germany's Love Parade manslaughter trial could be terminated, with some defendants paying only fines. The suggestion has emerged from formal talks between prosecutors, victims' advocates and event organizers' lawyers.